Check out the available Add-Ons! Seawind Solution Pvt. Ltd provides Linux Dedicated Servers which offers the user to have a full control over how and where their websites are to be hosted. 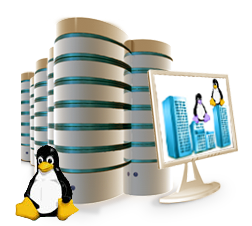 The main ease of determining a Linux Dedicated Server is that the user gains high performance, stability and control. Our Linux Dedicated server works best for any server owner who is seeking for a low-cost, reliable, and secure model of web hosting. Linux dedicated servers provides a business with the scalability it requires to fortify that its operating environment is reliable and secure so as to support a safe online existence for the business. Linux Dedicated servers not only provide an affordable way to retain a server, but they provide the business with a greater stability than many other options on the market today.